The Snowy River Story continues: the past, present and future of saving Australia’s iconic river. Platypus research on the Snowy River / Platypus Conservation Initiative/ impact of regulated rivers. Snowy River Advisory Committee – Introduce committee members / goals and process / public consultation / management issues. 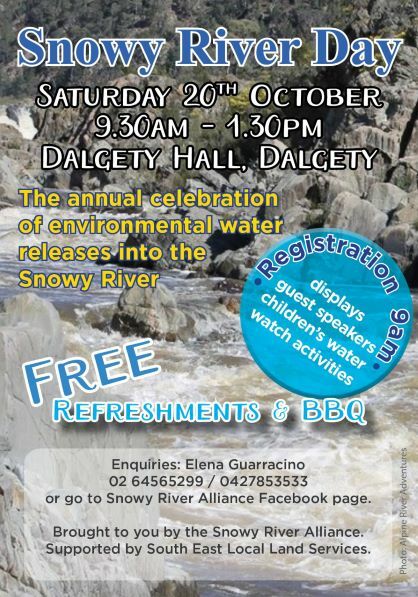 The Snowy River Alliance thanks the South East Local Land Services for generously supporting this event.